Minerva’s Anti-Evasion Platform is designed to integrate with your existing solutions and workflows, extending the value of the solutions already deployed in the enterprise. 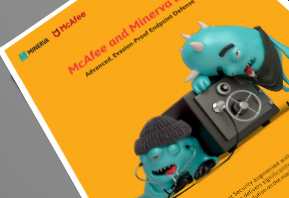 Whereas anti-malware capabilities of Endpoint Protection Platform (EPP) solutions are effective at stopping mainstream malware and some targeted attacks, Minerva’s technology blocks the evasive threats designed to get past such baseline protection. Minerva augments and can integrate with numerous baseline anti-malware solutions, along with their incident detection and response components. Deploy Minerva’s agents to enterprise endpoints by using your preferred software distribution and inventory management methods. Minerva makes its agent software for Microsoft Windows available in the industry-standard package format, which accommodates efficient company-wide software deployments. Enterprises that have deployed security information and event management (SIEM) solutions to centrally oversee security events can configure Minerva’s Anti-Evasion Platform to forward its events to their existing SIEM solutions for review, alerting and archive. Evasive malware is often designed to avoid exhibiting its true nature when it’s “detonated” in a malware analysis sandbox. 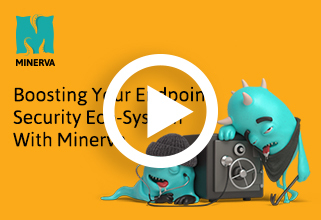 Minerva’s Anti-Evasion Platform not only prevents such malware from infecting enterprise endpoints, but can also integrate with the organization’s sandbox solution to give it visibility into the malicious programs it would have missed without Minerva. Threat intelligence platforms enrich the organization’s understanding of the malicious activities relevant to the company’s business and IT operations. Such solutions can provide additional details about the malicious software discovered in the company’s environment. Minerva integrates with a variety of threat intelligence platforms to provide additional context for the events generated when Minerva’s Anti-Evasion Platform blocks malicious software.